Create a clear narrative. The most effective timelines are those that provide a well-constructed narrative. Though presented in a visual form, timelines are much like any research paper or story; they work best when they have a good organizational structure and the order of the argument makes sense. Incorporate a range of media. Images are only one way to ground your text. Charts, maps, primary documents, links to other sources, and video can give your project a more robust feel and provide your reader with further avenues to explore on the topic. Reference external content. 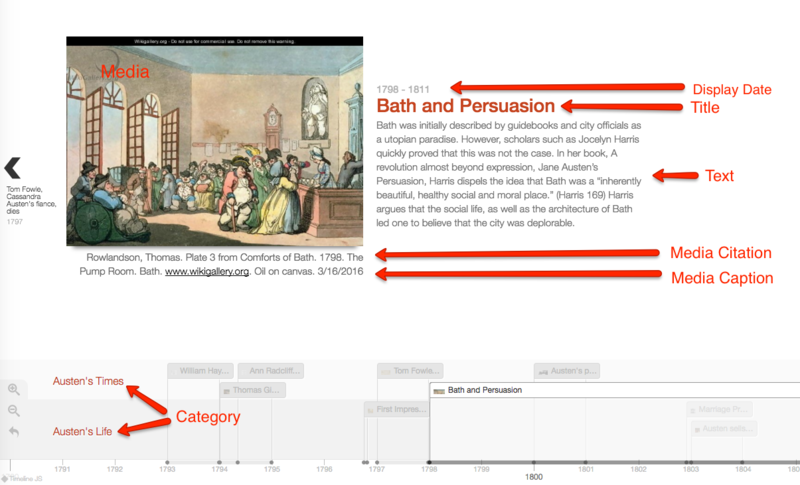 Timelines let you present a broad range of information. If there are authoritative sources (eg. Websites, journal articles) that cover the subject, consider linking directly to them. Keep it brief. We recommend not having more than 20 slides for a reader to click through. Pick stories that have a strongly chronological narrative. It does not work well for stories that need to jump around in the timeline. Write each timeline slide as a part of a larger narrative.